With a unique ingredient profile, it’s the ideal blend to support you whether you’re trying to increase your one-rep max in the gym or simply need anytime energy to fuel your day. Why choose THE Amino Energy? 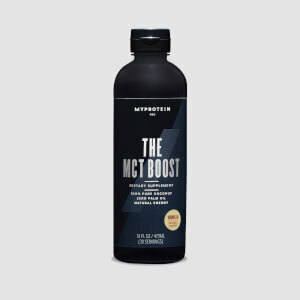 Packed with 100mg of caffeine to boost alertness and focus throughout that day — super important before any workout, as well as recovery-supporting amino acids, THE Amino Energy is a fruity-flavored boost when you need it most. 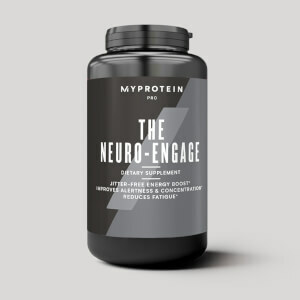 Crammed with 3g of BCAAs — these occur naturally in protein and help to grow and maintain important muscle. And, it comes in two refreshingly fruity flavors, Blue Raspberry and Watermelon — quench your thirst and get anytime energy. Natural caffeine: increases alertness, focus, and helps to increase your workout performance.2 We’ve combined it with L-Theanine to give a jitter-free boost. BCAAs: support muscle repair after exercise and promote muscle-protein synthesis — ideal whether you’re adding size or toning up. Micronized amino acids: specially formulated for fast absorption, amino acids occur naturally in protein which helps to grow muscle. L-Citrulline: increases blood flow to muscles and boosts amino acid uptake, super important when you need a quick boost. L-Tyrosine: keeps you sharp and on top of your game by reducing the effect of stress and fatigue on mental performance as well as supporting the synthesis of brain neurotransmitters. When to take THE Amino Energy? Add 1 scoop (10g) to 300-400ml of water or juice in a shaker before/during/after exercise… or throughout the day for a quick amino boost. 2. Caffeine contributes to an increase in endurance performance. 3. L-Tyrosine Reduces the effect of stress and fatigue on cognitive performance. Natural and Artifical Flavoring (Natural and Artifical Flavors, Calcium Silicate, Silicon Dioxide, Sucralose, Malic Acid, Citric Acid, Acesulfame Potassium, Salt, Sodium Citrate, Polydextrose, Red #40), Calcium Silicate, Silicon Dioxide, Malic Acid, Citric Acid. 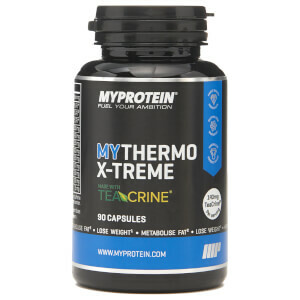 This product is perfect to get that extra boost between your workout. Perfect blend of caffeine and amino acids. I am impressed. Have used to replace my morning coffee, double scooped before a work-out and also before a night out. Surprising versatility! Great flavor as expected.